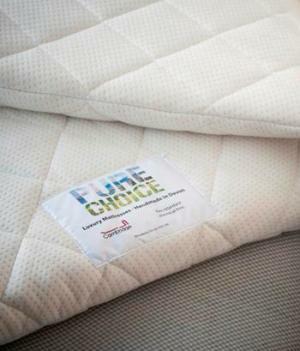 Pure Choice healthy sleeping mattress toppers conform to UK standard industry fire regulations naturally, NO chemical treatments, sprays or additives. 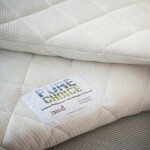 One of our cool sleeping Pure Choice healthy sleeping products this mattress topper is designed to be used on top of your existing futon mattress or conventional sprung bed mattress to provide a 'softer' feel to a firm mattress or renew the comfort of a mattress that is just getting a 'bit old'! 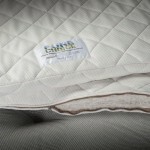 Our choice of natural mattress toppers are all UK manufactured down here in Devon with this one using the cool polyester Pure Choice fabric as an upholstered cover. 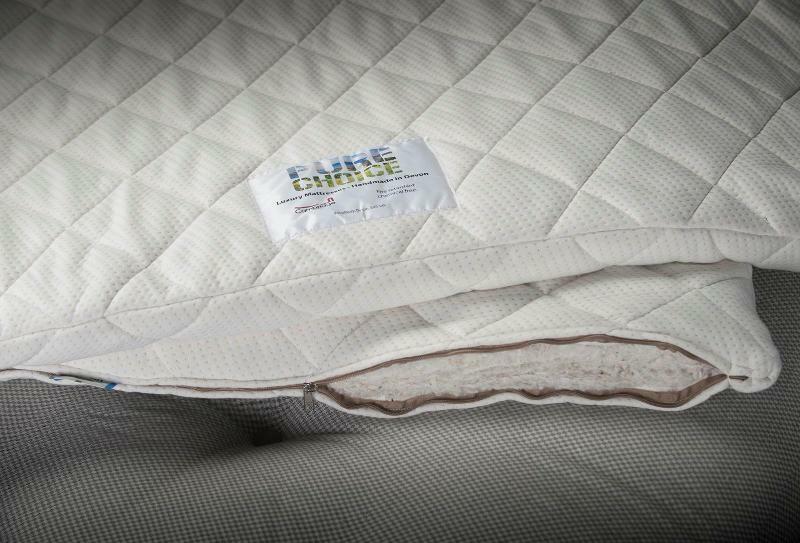 Pure Choice is an easy manufacture polyester fabric quilted onto a natural lambswool which has proved a popular choice when looking for a 'cool' feel to your topper. 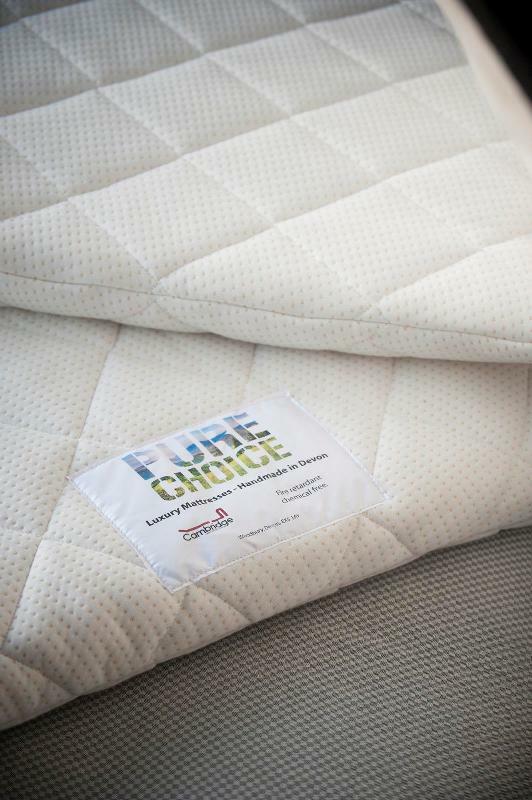 The Pure Choice fabric covers a layer of our cotton rich filling to provide a topper which is naturally fire retardant, conforming to UK regulations, without the need for chemical sprays. 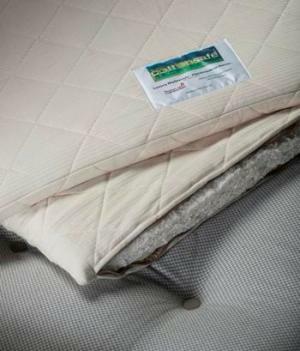 Suitable as an everyday use mattress topper to be used in conjunction with a futon mattress or conventional sprung mattress.